Entering into the workforce is a milestone in one's life; a rite of passage that is often identified as the beginning of their journey into adulthood. But for so many young adults with autism, this transition can be the most difficult and stressful time in their lives. Here are 10 tips to help young adults with autism transition into the workforce. For many young adults, the transition from school to employment is often a frightening and intimidating one. Leaving the familiarity of routine behind and beginning a new journey into the unknown is difficult for anyone. For young adults with autism, this experience can be even more terrifying. They face many different challenges than that of their neuro-typical peers. Entering into the workforce is a milestone in one's life; a rite of passage that is often identified as the beginning of their journey into adulthood. But for so many young adults with autism, this transition can be the most difficult and stressful time in their lives. Some reports state that an estimated 500,000 people with autism will enter into the workplace over the next ten years. 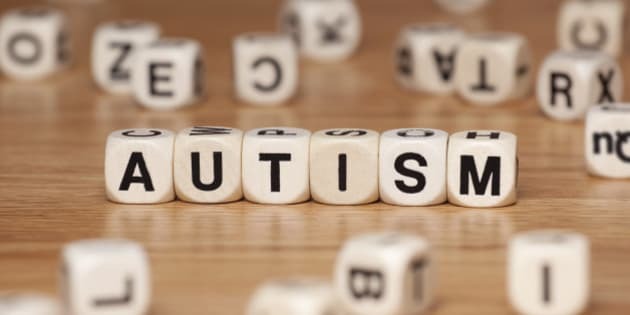 With so many young adults looking for employment and without sufficient and sustainable job opportunities for them, we are looking at a high percentage of unemployment rates for autistic individuals. In addition to job creation, we must also help prepare them for the moment when they are ready for employment as well as supporting them through the transitional process. Many have excellent job skills that can easily be applied to a number of organizations but first we must find what they enjoy doing, their strengths, their abilities and finding a viable employment environment where they can apply their skills and thrive while doing so. This doesn't happen overnight and it may even take a few jobs before finding that perfect fit but with a little planning, it is possible. Here are 10 tips to help young adults with autism transition into the workforce. Job Matching. Identifying the best possible job that fits their strengths and abilities. They will be much happier doing something they enjoy doing than doing something they hate. Finding employment that showcases their abilities will, in turn, lead them to having a positive engagement with their work environment. And a positive work environment tends to lead to better job performance as well. Volunteer and/or Intern. While looking for employment, they can volunteer their time in any organization they feel comfortable with. This could be a local business or even the library. As long as they feel at ease in their environment, that is all that matters. This not only gives them the practice and exposure they need but it also gives them that much needed experience that can be then transferred onto their job resume. Not to mention references that can vouch for their abilities and job performance. Take a course. If they have a specific skill that they excel at, taking a course to build and expand on this skill is an added bonus. This is refining what they are already good at and mastering an area that can potentially give them an edge over the next person that is bidding for the same job position. Find a mentor. Look for someone who has similar interests and has had similar challenges that they have overcome. Reach out to them and ask them for some tips and advice. This can be someone in the community, a friend, a family member, anyone that makes them feel comfortable sharing their story with and that can provide some support. A different perspective is always refreshing, maybe even challenging to think outside the box and perhaps help them with overcoming some obstacles. Package their skills. In addition to a well-written resume, making a portfolio of work that has been done can also be shown as reference. This can include personal work that showcases their skills and aptitudes as well as on the job field work. Anything that can help define their abilities is an asset. Building social skills. In any working environment, there will come a point where social interaction will eventually come into play. If social situations are somewhat uncomfortable, they can slowly build these skills by getting involved in social activities at their own pace with people and situations they're comfortable with. While social interaction is important, it shouldn't be forced. We must always listen and respect their feelings. They should be encouraged to step out of their comfort zone but at their own rhythm; always moving forward and continuing to build on these skills a little more each day. Practice job interviews. This is a great exercise to do because it builds on social skills and confidence simultaneously. Going through possible questions that potential employers may ask makes the real job interview process less frightening, less unknown. Knowing how to answer certain questions will make them feel more confident about themselves, as well as the manner in which to respond during their actual job interview. Building a buddy system. A buddy system approach is finding and developing a friendship at work with someone that they are comfortable with. This person can help them with the ins and outs of the working environment and what they can expect. They can help them with any transitions or work issues that may arise. Almost like a mentor that we spoke of earlier but this time it's actually in the workplace. Keep a schedule. Keeping a schedule is very important both at work and at home. This keeps you on track and visually seeing what needs to be done makes it much easier to understand and process. It keeps the end goal in sight. This can also be done in a form of a vision board. It can be done on a daily, weekly even monthly basis. The important thing to remember is finding the right schedule that can help them reach their goals without feeling overwhelmed. Be upfront with employer. If specific accommodations are required in order to do their job efficiently and effectively, let the employer know immediately. Their skills with speak for themselves and if accommodations are needed then it is best to speak about them right away. It is important not only to see the abilities but understanding when certain limitation may arise and how to work around them. Finding employment is difficult for anyone, but the challenges that young adults with autism face are magnified. Autistic people are often stigmatized for their differences without ever getting a chance to demonstrate their skills. Autistic people have a lot to contribute to society and in the workplace. They deserve equal opportunity to showcase their aptitudes and talents, just like anyone else. We must always remember that we all have abilities and we all have limitations. We are after all only human. It is our humanity that makes us more similar than different.